after that quick jaunt to san diego, we somehow managed to get home in time to take the bean to her swim lesson. since the session was only two weeks long, this was a good thing. with no pool at home to practice in, we really want her to take advantage of every moment she can get during those lessons. and i gotta say, the change in her confidence in the water in a mere two weeks is tremendous. what started as "no, mommy, i don't wanna go to swim class!" and the tears after getting dunked on that first day has quickly graduated to excitement to see her friends and happily playing "how long can you hold your breath underwater?" games. thank goodness. later that evening, after the bean was all showered and we'd all had a chance to have some dinner, it was time for some bonding with the teen. 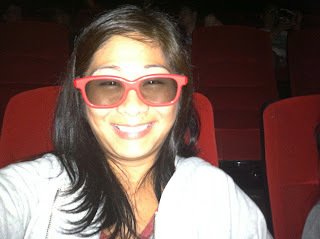 remember that failed attempt to see katy perry's 3D concert movie a few weeks ago? well, we finally got to see it - along with the rest of the world, since it was released that day. we even got some fun swag for going on opening day. 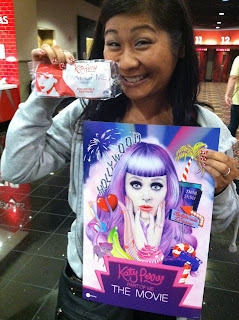 yes, those are specially branded KP3D glasses for the movie, and no, i don't have any idea what i'll do with that poster. it's not like i'm a superfan or anything, although i do like katy perry's music and think she's really cute. i tried to get the teen to join me in this picture, but she refused - can you believe it? sheesh. please excuse the multiple chins i'm sporting in that shot. hopefully you were distracted by the ridiculous red "wayfarer-style" 3D glasses anyway. 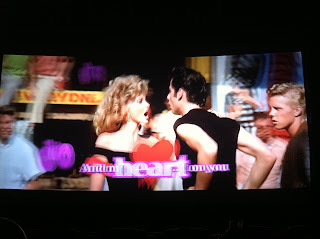 when the gazillion previews were finally over, we were treated to a little "grease" singalong, courtesy of paramount's 100th birthday celebration. i may or may not have sung along. anyway, the movie was actually really enjoyable. 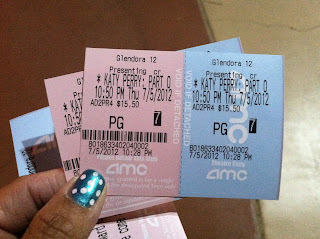 like i said, i was never really a huge fan, but i walked out of the theater with a whole new appreciation for katy perry. she worked what seemed like nonstop for damn near a full year, putting on show after show around the world, while still trying her damnedest to keep her marriage afloat. and maybe it was really biased editing (considering, you know, it was her movie and all), but it sure seemed like she put in 1000% effort, while he...didn't. i admit that i totally cried towards the end when she finally faced the fact that they were going to break up. i just can't watch people cry without choking up myself. 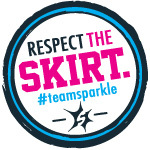 and the teen and i were both sorry we hadn't gone to see her live when she was in town. next time for sure. well played, katy perry. well played. the movie made me love katy even more! i cried like a baby. you should sell the poster on ebay.